Gardening isn't just about attractive and colorful flowers. It's also a rewarding way to bring fresh, homegrown and flavorful to your table. 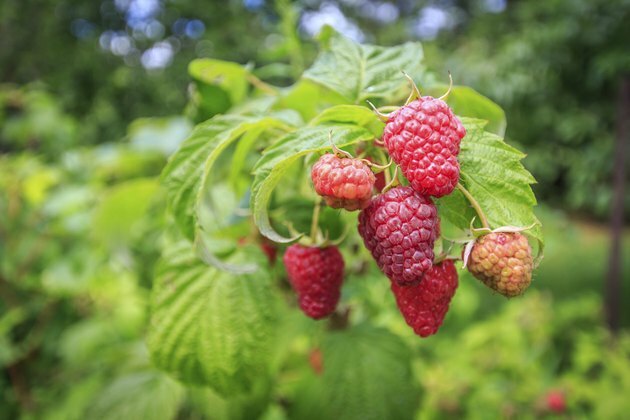 You have an almost endless number of fruit-bearing plants from which to choose, but some may be more suitable for your region and growing conditions than others. 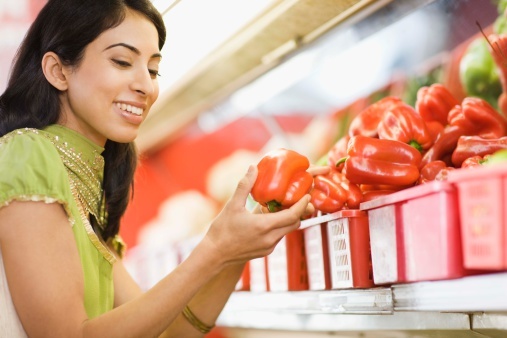 Starting with a list that includes the best choices for your situation can help ensure success and an abundant harvest of tasty, ripe fruit. 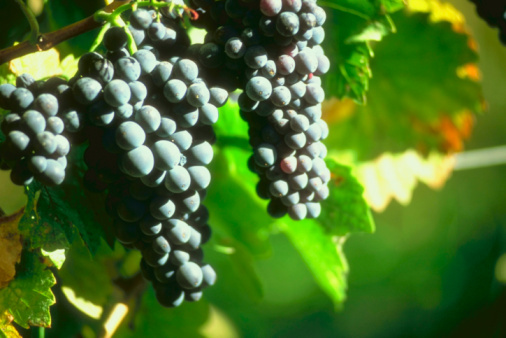 Many fruit-bearing plants grow as vines, either trailing on the ground or supported on a trellis. Some vining plants belonging to a group called cucurbits produce sweet melons. 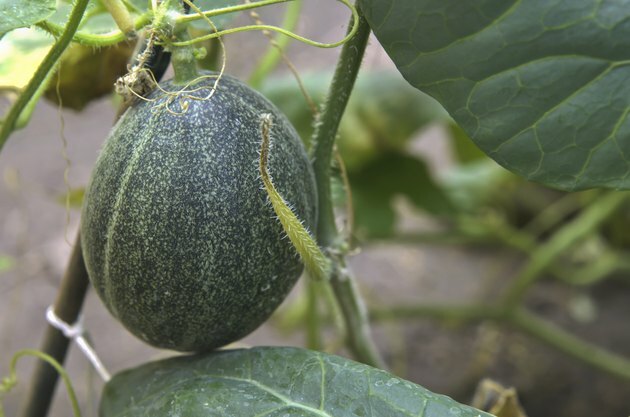 Those melon plants include cantaloupe (Cucumis melo var. cantaloupensis), muskmelon (Cucumis melo var. reticulatus) and honeydew (Cucumis melo var. indorus) These plants grow as annuals in all parts of the United States, prefer full sun and do best in areas where the growing season is long and hot. Some varieties grow as trailing vines up to 12 feet long while others are more bushy, with 3-foot-long vines. Cantaloupe fruit starts out green and turn golden yellow when ripe. If you want to use low-growing, fruit-bearing plants that spread to fill in a space, try strawberry plants (Fragaria spp.). They come in several types, including plants that bear all their fruit over a three-week period starting in June and others called everbearing that produce berries throughout the growing season. Strawberries are short, bushy plants that spread by sending out stems -- runners -- that root and produce new plants wherever they touch the ground. Strawberries grow as perennials in U.S. Department of Agriculture plant hardiness zones 3 through 10, with some variation among cultivars. You can harvest many types of berries that grow from perennial, . Some of the plants have a shrubby growth habit while others grow long, arching stems called canes. For example, raspberry plants (Rubus spp.) come in many varieties, with red, black or even yellow berries. They grow as bushes made of thorn-bearing canes and produce a thicket called a bramble. The plants grow naturally in cool climates, USDA zones 2 through 7. Some cultivars, such as a yellow-fruiting cultivar called "Anne," can thrive in warmer climates; "Anne" is perennial, or hardy, in USDA zones 4 through 9. Red raspberry fruits grow on arching canes. Blueberries (Vaccinium spp.) are shrubby perennial bushes that lack thorns. They come in three basic types, called highbush, lowbush and hybrid half-high. All prefer an acidic soil, with a pH level between 4 and 5, and need regular, even moisture with about 1 to 2 inches of water weekly. Examples include "Chippewa," (Vaccinium 'Chippewa'), an extra-hardy hybrid type that grows in USDA zones 3 through 7, and 'Jelly Bean' (Vaccinium corymbosum 'Jelly Bean'), a dwarf variety that grows only 1 to 2 feet tall and is hardy in USDA zones 4 through 8. If your garden has some extra space, add one or more fruit trees for a flavorful crop each year. and come in different sizes and many different types. A large apple tree -- called a standard -- is about 25 feet tall and wide so needs extra space while trees called semi-dwarf and dwarf are smaller and useful for small gardens. Examples include 'Stark Golden Delicious' (Malus 'Mullins' Stark Golden Delicious), which has white blooms in spring followed by golden-yellow fruits in early fall. The variety 'Braeburn' (Malus 'Braeburn') is an example of a 15-foot tall and wide, semi-dwarf tree that produces large, red fruits in mid-fall. Both varieties are hardy in USDA zones 5 through 8. Pear trees (Pyrus spp.) also produce sweet fruits and come in many types and sizes. For example, the variety 'Moonglow' (Pyrus communis 'Moonglow') is compact and only 8 to 10 feet tall. It produces sweet, yellowish fruits in late summer, is resistant to some common diseases of pear trees and hardy in USDA zones 5 through 8. Some pear trees are invasive in certain U.S. locations; remove unwanted pear trees to prevent that problem. If winters are mild where you live, try growing a citrus tree (Citrus spp.). The mandarin orange tree (Citrus reticulata) is an example; it grows about 15 feet tall, produces loose-skinned, flavorful fruits in late fall and is hardy in USDA zones 8b through 11. In colder areas, try a dwarf tree that grows in a container, such as a dwarf 'Valencia' orange (Citrus sinensis 'Valencia'). It can stay outdoors year round in USDA zones 9 through 10. In colder areas, keep it outdoors in summer but have it indoors from fall through spring, keeping it in a sunny spot. Nut trees are also options for a home garden and can grow in areas with either cold or warm winters. Choose the best type for your climate. The butter nut tree (Juglans cinerea) is extra-hardy, growing 40 to 60 feet tall where it is hardy, USDA zones 3 through 7, and producing a yearly crop of flavorful butternuts. If you live in an area with relatively mild winters, plant a pecan tree <ahref="http: extension.uga.edu="" publications="" detail.cfm?number="B1348"" target="blank"> </ahref="http:>(Carya_ illinoensis), such as the cultivar 'Starking Southern Giant', which is hardy in USDA zones 6 through 9, prefers full sun and produces a heavy crop of nuts in mid-fall. What Time of Year Do Tangerine Trees Bloom?